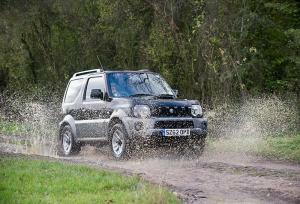 The 2013 model year Suzuki Jimny has received a number of exterior and interior design updates to help modernise its appearance whilst maintaining the long established tough and capable reputation Jimny has amongst its 20,000 loyal owners in the UK. New exterior and interior design updates for Suzuki’s compact SUV – on sale now. Design revisions include a new front bumper and grille design, new design bonnet shape incorporating central air intake as well as repositioning of the front fog lamps. 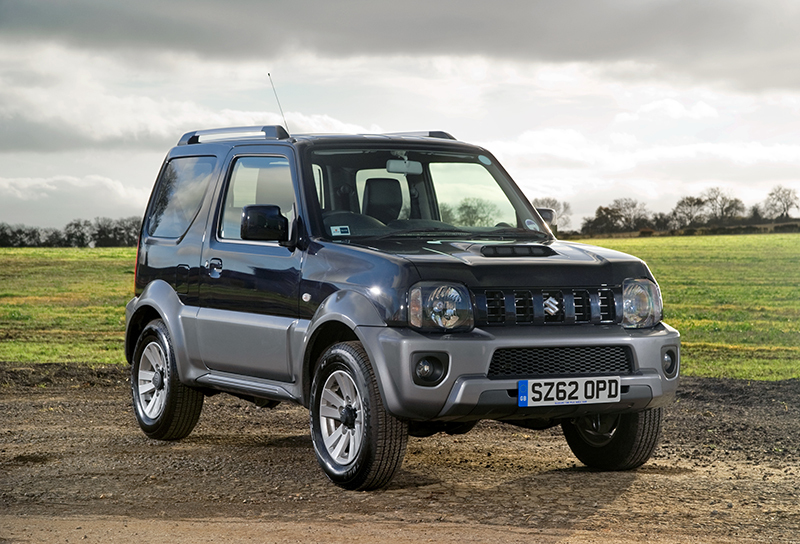 The new front bumper design has resulted in a slight increase in overall length of 30mm to 3,675mm – although Jimny easily remains the most compact SUV on sale in the UK. 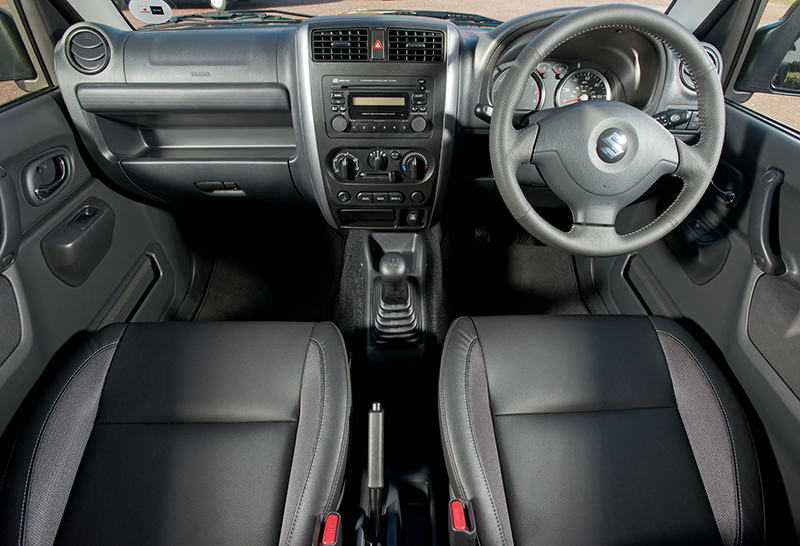 For the interior, a new seat fabric trim has been adopted for the SZ3; both SZ3 and SZ4 models have new design front and rear headrests as well as ISOFIX child seat mountings fitted as standard to the rear seats. Breeze Blue has now been added to the optional metallic paint range of four colours available for the higher specification SZ4 model with three metallic and one solid colour available for SZ3. Metallic paint is a £399 option. 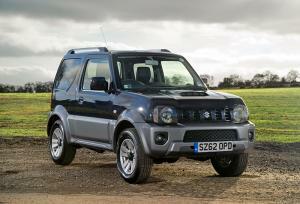 Jimny has a neat and practical look and since sales began in 1998, it has accumulated a loyal following of repeat customers who enjoy a quirky alternative to a supermini or crossover SUV. The Jimny exceeds expectations off road whilst still being more than capable in any urban area, ideal for customers who want the best of both worlds. The all-alloy 16-valve 1.3-litre engine benefits from variable valve timing, ensuring lively performance, and strong fuel economy. 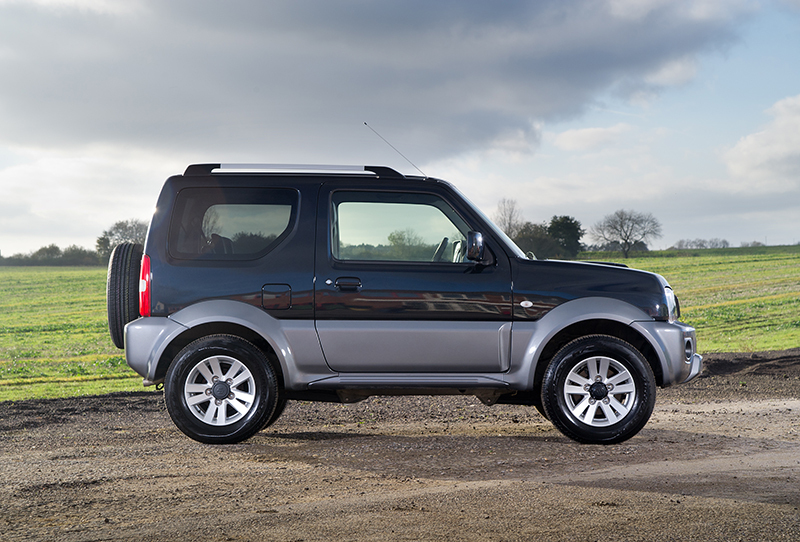 Maximum output is 85PS, with 81lbft of torque delivered at 4,100 rpm; a flat torque curve means near maximum torque is delivered from as low as 2,500 rpm, giving Jimny the kind of flexible driving character and pulling power that are integral to a successful SUV. There are clear benefits in terms of fuel efficiency and exhaust emissions: with the manual transmission model returning an official 39.8mpg in combined cycle driving (38.7mpg for the automatic); respective CO2 outputs are 162 and 167g/km.